PHILADELPHIA (WPVI) -- That trip home this fall won't cost a fortune - if you plan it right. 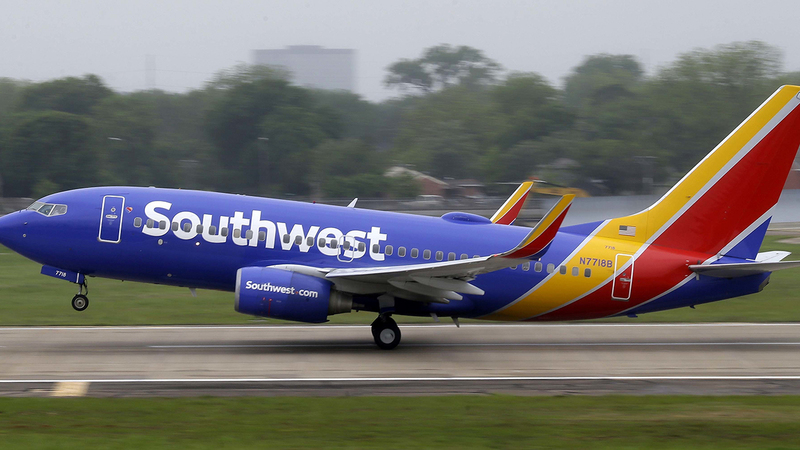 Southwest Airlines announced a nationwide sale that includes one-way tickets from some cities for as low as $49. The flight deals are available now until June 8 at 11:59 p.m. The three-day sale means you can book round-trip tickets for less than $100. The sale only includes one-way "Wanna Get Away" fares. For longer flights, the pricing increases to $79, $99, or $129 for fares included in the sale. Included in the sale are one-way flights from Philadelphia International Airport to destinations such as Atlanta, Chicago, Ft. Lauderdale, Nashville, St. Louis, and West Palm Beach - some of those available for $79. You can see all the deals from Hobby airport here. There are some restrictions. The low fares can't be used for domestic flights on Fridays and Sundays, and international travel can only be done on Tuesdays and Wednesdays.